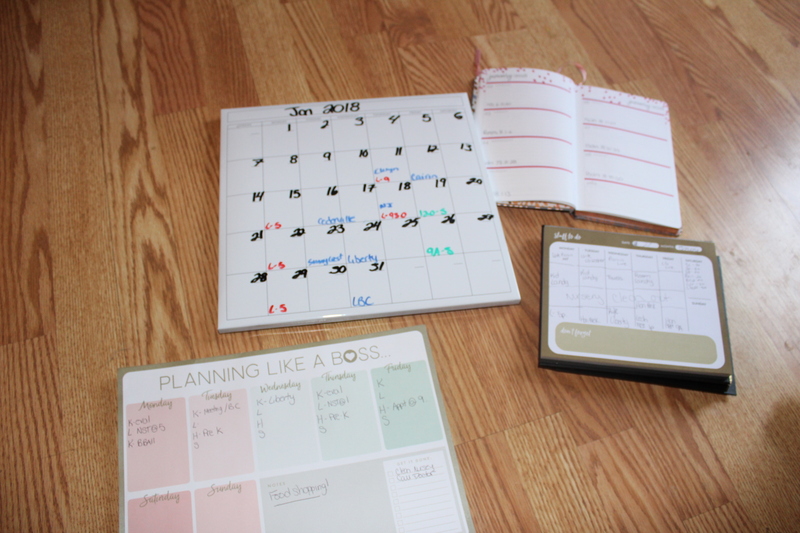 I love to keep things organizied and color coding is probably my favorite thing ever. Trying to keep track of 4 (almost 5) different peoples schedules can get quite difficult at times. I have various schedules all over my house that get updated what feels like daily. Unfortunatly, when I go out none of those schedules come with me. 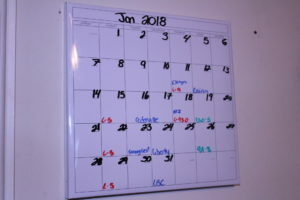 I have a main schedule in the kitchen right near the coffee pot which is a white board and everyone has a different color. So you look at the schedule and if you see blue its my husbands schedule, Red is myself, Green equals the kids, I lost my purple and yellow marker currently but those were used as well. 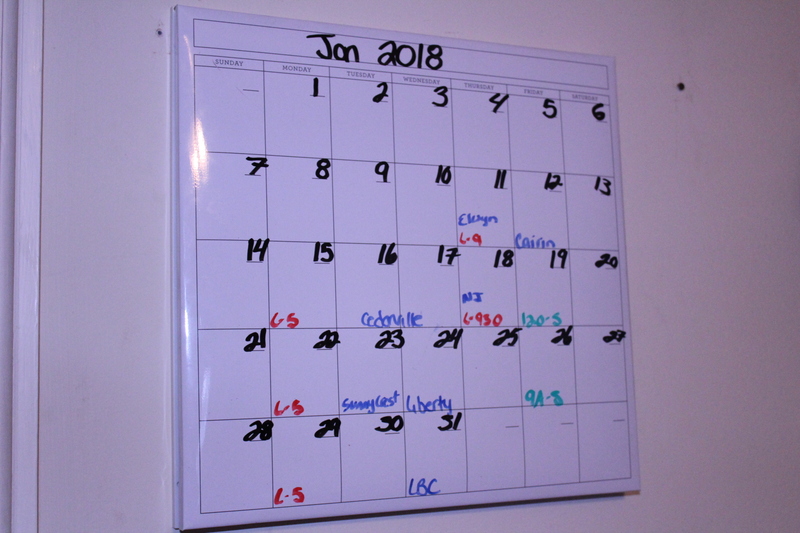 Its so easy to look up and see the date and the color underneath and know “oh my husband has something going on tonight.” the Main calender consists of schedules liked doctors appointments, bible clubs, and my husbands travel schedule. Next we have the fridge calendar. This calender is our weekly calender. I like to have whats going specifically during the week on this calendar. so when you open the fridge you look and can see “on Wednesday my husband has to travel, or our daughter has a field trip on Thursday.” Its similar to our main schedule but focuses solely on this upcoming week. 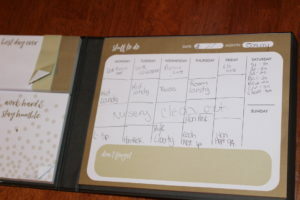 The final schedule is Mommmys “book” this little book is a weekly schedule that I use to write down the household chores for the week. What I want to accomplish in regards to laundry and what needs to be clean. I also use this for my blog posts. What days to write what and what days for said posts to be published. 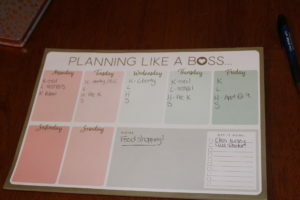 Its extra work but I love sitting down with my coffee monday morning and plan out my week. I do have a planner which has everything in it as well the months schedule the week schedule and various other things. Unfortunately, none of these schedules come with me when I go out. I’m not a big purse carrier so i’m limited to my phone wallet and keys. I wish there was an app to keep track of everything….oh wait there is! The Picniic App keeps track of not only my schedule my families unique schedule. And so much more! 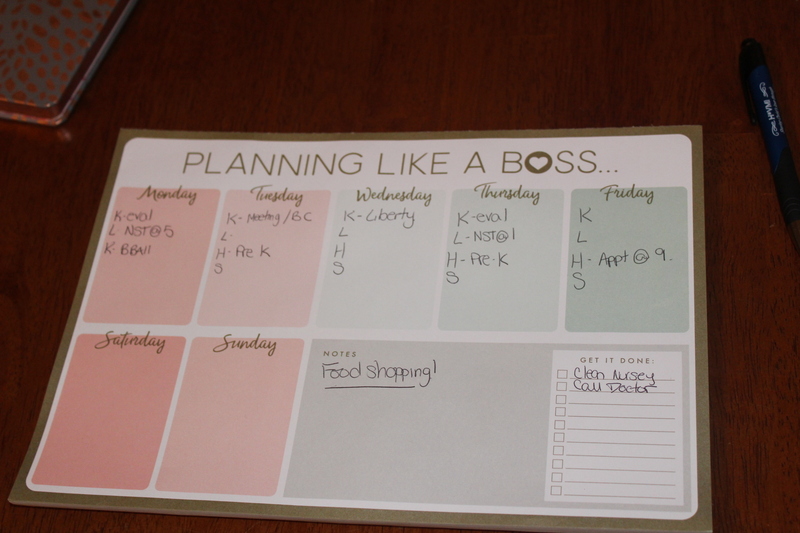 There is a food planner, shopping list, recipe guide and so much more. I am in the generation where my phone is pretty much on me at all times and this is a perfect app for the busy mom on the go! It sends you alerts before appointments, my to do list is on the app so its in the palm of my hand when I need to know what to do next. I love having a shopping list on my phone since I tend to lose my paper copy before I even get to the store. If you are like me and feel like some days you have no idea whats going on this app can help with that! Since I have downloaded it I feel even more orgnaized knowing I have everything I need right within my phone. It has saved me a ton of headaches. Love learning about new apps to help keep me organized. This sounds like it does it all! What a great app for organizing! I will have to try it out to see if it helps me in keeping everything on track for our family. Thank you!